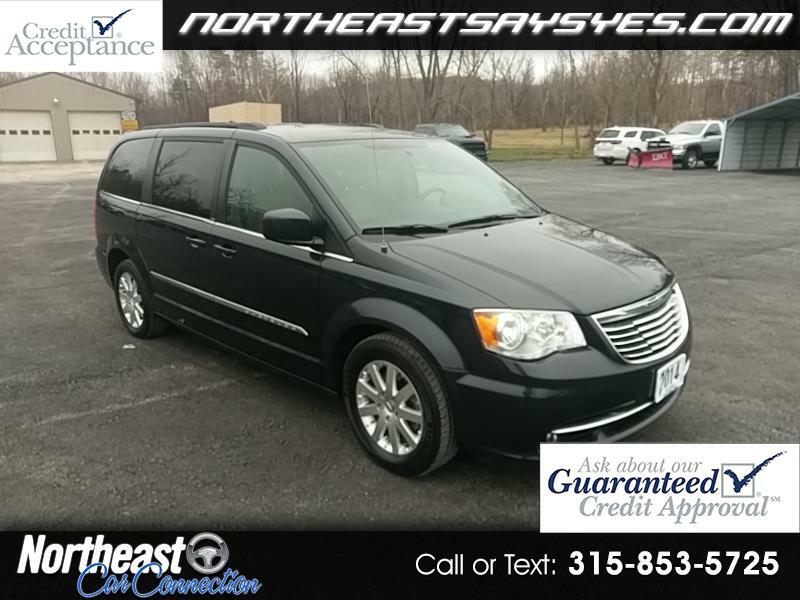 This just in....2014 Chrysler Town & Country Touring, nicely equipped with Chrysler's powerful and fuel efficient 3.6L V6 and smooth shifting automatic transmission, power windows, power locks, Leather seats, power drivers seat, rear entertainment, back-up camera, stow-n-go, remote keyless entry, alloy wheels with good tires all the way around and tow package. An optional extended warranty is available starting at only $399 and up. Guaranteed Credit is also available. Feel free to fill out a credit application on our secure website www.northeastsaysyes.com Thanks for looking! Visit Northeast Car Connection online at northeastsaysyes.com to see more pictures of this vehicle or call us at 315-853-5725 today to schedule your test drive.